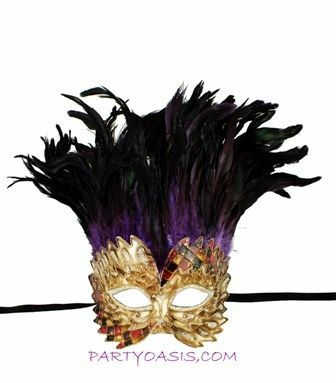 This resin base mask is hand designed with paint & feather plumes. A masterpiece! This can be worn or shown on display.